It only takes a single busy/buggy page to make Google Chrome and XP unresponsive. Does someone know of a way to find which page is busy and kill its process? 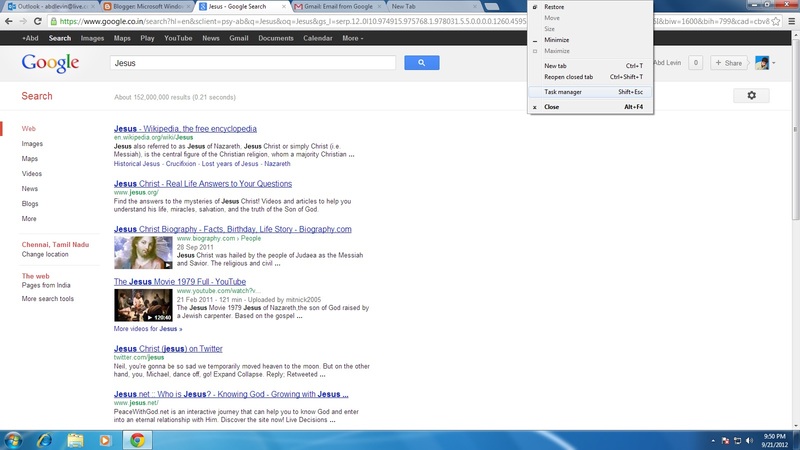 Chrome has its own task manager that shows the page name. You can open it by either right clicking on the window title bar and choosing Task manager, or by pressing Shift+Escape. Limiting use of RAM in Chrome? How to reduce Google Chrome's CPU usage spikes?